Multitaskers, rejoice — the browser version of YouTube has finally gotten one of the app version’s best features: a miniplayer that allows viewers to watch videos as they’re perusing elsewhere across the site. 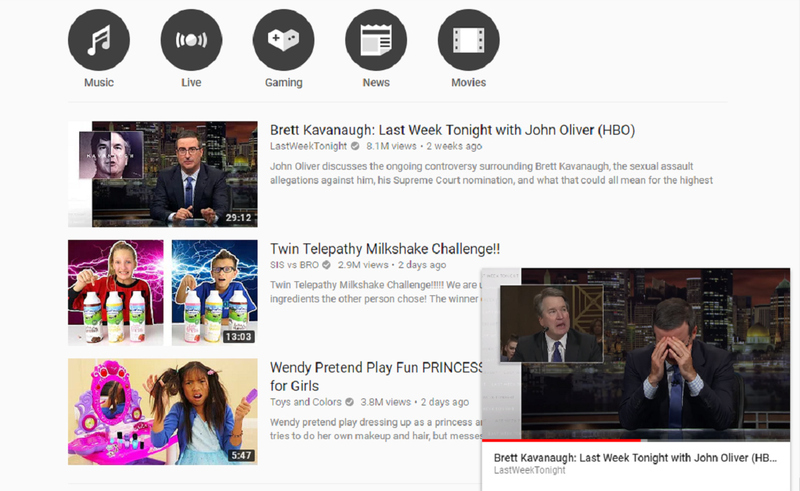 Before the update, viewers would have to have multiple tabs or windows open if they wanted to browse YouTube while watching a video. Now, however, viewers can use the toolbar in the bottom right corner of videos — where they’ve long been able to turn captions on and off and increase or decrease the quality of the video — to pop videos out into a miniplayer. Selecting the miniplayer will automatically open a full-sized YouTube homescreen with the miniplayer running in the lower right-hand corner. Like the app version, choosing a new video will disable the old window’s miniplayer and open a full-sized version of that video. Users are able to play, pause, select previous videos, and select next videos all within the miniplayer. Clicking on it around these buttons will turn the minimized window back into a full-sized video. Per 9 to 5 Google, the feature was originally alpha/beta tested in March of this year with a small group of participants. Other functionality changes have been afoot at YouTube lately, including an update to the look of its video embeds, including the addition of icons that enable viewers to seamlessly subscribe.